We are Leading Supplier and Trader from New Delhi. 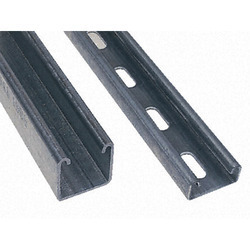 Our product range includes Slotted Angles & Channels such as Steel Slotted Angle and Slotted Channels. Our offered Slotted Channels are the most versatile, time and cost effective construction material available for building shelves and other storage solutions.